Passed PMP , What next ? Home » Forums » PMP Exam Preparation Forum » General Discussion » Passed PMP , What next ? Passed PMP last month , It was goal accomplined after months of preperation and study . Now a sudden feeling of "Goal less" in life. Feeling bored and empty. I am 31 year old and in construction in middle east . Please advice where can I set my next goals. What next after PMP?. Excellent question, I’ve asking myself the same question since I started preparing for PMP, I once read that it’s very dangerous to achieve a goal before setting the next one, and I believe this is true. Congratulations on your PMP. Its good to know you are hungry for more. very few people are really looking for immidiate next steps. 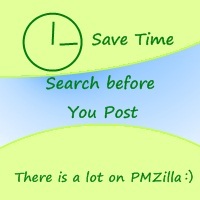 You can read the beyong PMP forum on PMZilla for some similar discussions. Basically, the next certification you do must be related to your job function or your future career aspiration else you will be wasting your time and money.